Alien Pastures » So I finally packaged VLC 2.1. And what about LibreOffice? 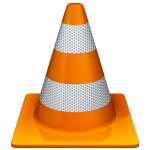 So I finally packaged VLC 2.1. And what about LibreOffice? Finally, the daunting task of compiling 12 packages for VLC has come to completion. I created packages for the latest VLC 2.1 (codenamed ‘rincewind’… who the heck keeps thinking that these half-arsed nicks are useful). Like with the release candidate which I packaged last month, the internally used libraries are up to date again (ffmpeg, fluidsynth, libass, libcdio, libdc1394, libdvbpsi, libebml, libmatroska, libva, opus, orc, schroedinger, vcdimager, vo-amrwbenc, and x264). Those of you who are running Slackware 13.37, 14.0 and -current will rejoice 🙂 That being said, it is likely that this is the last major VLC update for which I will produce a Slackware 13.37 package – the effort is just becoming too big. The 2.1 release is the culmination of nearly two years of work by the team, squashing over a thousand bugs (although it is not mentioned anywhere how many of those were caused by actually coding the 2.1 branch). More importantly, the commit history shows that VLC is very much alive, evidenced by the fact that 140 code committers do not belong to the actual VideoLAN team. Good news because my expericnce was that the 1.x and 2.0 development cycles have actually caused a decrease in the quality and robustness of VLC as an allround media player. Let’s see if 2.1 will turn this around. With a new audio core and lots of work on improving the ports to other platform, I really hope that much of the deficits of the video decoders which made me switch back to MPlayer as my video app of choice, have been addressed as well. My latest LibreOffice packages (for Slackware 14) are version 4.0.5. In the meantime, those hard-working LibreOffice developers are almost at version 4.2.1… so what happened to the ‘alien’ builds of LibreOffice 4.1? Well, during the packaging of 4.0 I noticed that the dictionaries which are now being offered as a source tarball, including many languages, needed another way of building and installing. I have been trying to find time to investigate and come up with proper packages, but I ran into a snag with the SlackBuild script and kept telling to myself that I would look into it right after the next KDE… OpenJDK… Calibre… whatever package would have been created. To be honest…. I am swamped with work during my paid daytime job and I spend more hours per week at work. It takes time to finish the bigger projects (like LibreOffice) in my spare time. Be patient, packages will be released eventually. I helped my son today with the home-made pizza he had promised to create. I did something I realized I had never done before… I created the pizza dough from scratch: flour, yeast, water, olive oil, salt. Kneading the dough, seeing it rise and flattening it out to an oven-plate sized pizza bottom was very rewarding. Eating the pizza was rewarding as well! I have promised myself to finally bake that Focaccia bread which I have been wanting to try forever. Anyone with a Google Nexus tablet out there and experience with unlocking it, putting some brand of real Linux on it? I am going to pick up my own ARM port after Slackware 14.1 is released and besides my personal targets (getting it to boot on my TrimSlice and my ChromeBook) I was wondering how open the Google Nexus tablets really are with regard to having linux device drivers available. I am dead-curious about seeing how well Slackware behaves on a touch device… and both the Nexus 7 and Nexus 10 look like they are awesome devices. Posted: 29 September, 2013 in Rant, Slackware, Software. Yeah, that’s pretty much my pizza dough. It’s way better and cheaper than delivery, too. Thanks for the updates and good news. If you’re going to bake that foccacia, I would strongly recommend that you get a baking stone, a cast iron base, or just line your baking rack with unglazed clay tiles. This will store heat and transmit it into your dough as soon as it hits the stone. Nothing gets bread tasting better than using this method, given that the dough isn’t too dry. My general ratio is 600g flour to 400ml water. I could continue to geek out on the specifics, but these two points are paramount to getting amazing homemade bread. well done for pizza at home! For the (Slackware) Linux on Nexus 7, I have one of those and I can take in consideration the idea of trying it when there will be anything installable, if there will be also a way to keep the original android and set up a dual boot thing. doal booting is very doable.. depending of the android kernel. I used to have dual boot on my i9100 (int version of s2) with siya kernel or something..
I’m looking forward to try on mine as well. Can you compile the new version of ownCloud client for Slackware 14? I had no success. I have a radeon HD with the open source driver, and I can watch anything normally with KPlayer. I have also built my own package with your /slackbuild/build directory, with the some outcome. Any ideas about what is happening here? I found many references of “xcb_xv vout display error: no available XVideo adaptor” when running this through a Google search. Perhaps some of those articles will be helpful to you. Thank you Eric. I will give them a try! As suggested at linuxquestions, I have changed the output video display (Preferences) from “auto” to “X11” and it is working flawless.Thank you again for this nice work, Eric. I have successfully built VLC 2.1.1 using your SlackBuild script. Thanks!! I use the 64bit vlc-Package from restricted for DVB-S. I have installed your libva and vdpau-video Package and the libvdpau from SBo and i have testet vdpau direct from the last NVidia-Driver. When i end or Switch a HD-Channel, i become a segmentation fault. But it works flowless only whe stop or switch. How is the right way? [0x7fe5880e5a68] avcodec decoder: Using VA API version 0.34 for hardware decoding.